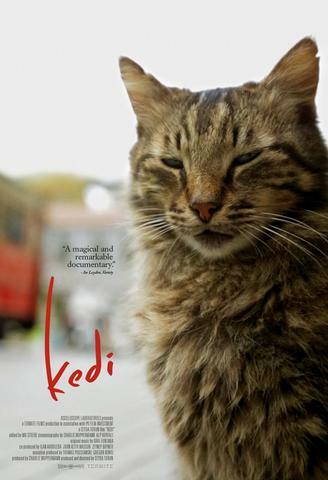 Set in the streets of Istanbul, “Kedi” is a hopeful, cute and inspiring documentary directed by Ceyda Torun. For all of its history, beauty and culture, one of the most interesting aspects of Istanbul is how it ended up with so many cats roaming its streets. The film tells the story of sailors who used to keep cats on their ships to hunt mice. Every once in awhile, cats would jump to the rocky shores and claim Istanbul as their home. Fast forward to present-day and you are left with cat-filled cobblestone streets. However, “Kedi” is more than a simple documentary about the lives of Istanbul’s street cats. It is a movie about the importance of connections and caring for others. Many of these cats do not have homes, but shops that they frequent for a meal or attention. Though the cats take center stage in the film, the people are just as important. There are a handful of city residents in the film that have provided steady food and shelter for a specific cat. These people have named the cats, they know their quirks, and claim they all have distinct personalities. The film weaves a theme of irreplaceable co-dependence through all of these human-cat relationships, a reflection of the importance of empathy and the symbiotic nature of the relationships we have with our pets. At one point a man remarks that if you can’t love an animal then you can’t truly love a human. Apart from the heartwarming story, “Kedi” is an absolutely gorgeous film. Intermixed in the film are breathtaking shots of Istanbul – aerial views of the city, shots of the calm Bosphorus Strait, various men fishing off of the rocky shores, and colorful buildings along the ancient streets. The film also makes great use of cats-eye-view shots where the audience gets a chance to see the city streets and shops from a unique perspective. It’s only fitting that such a beautiful story would take place in such a magnificent city. “Kedi” arrives at a time when the world is in the throes of a polarizing political climate with a message of love and care for all who may need it. Whether it’s the cat outside the café or a man whose boat just sank, we could all benefit from a caring community willing to open its doors to provide shelter and a hot meal. I think you beautifully capture the overarching theme of people learning about themselves when they interact with animals. I also enjoy your glimpse into the technical shots of the film. I’d love to read more of your insightful work.